Laundry is a chore that every single household has to deal with, one that is never ending! Whether you are a family of three or a family of eight, you might feel you are drowning in a pile of clothes! 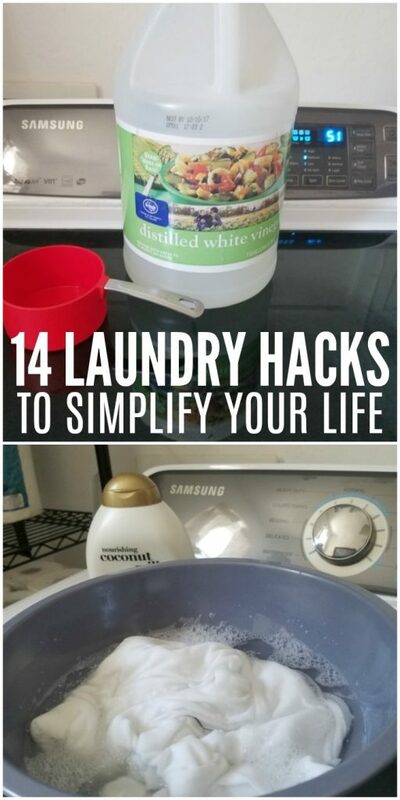 These life changing laundry cleaning tips and tricks will help you to tackle your laundry! Every three to six months, take the time to wash your washing machine. This will help clean up and remove any residue that is accumulating and keep your clothes fresh and clean. Just run a regular cycle using hot water, and pour in 3 cups of vinegar. Let it run like a normal cycle. I love to have a laundry sorter with 3 areas. You can designate one for whites, one for dark clothes, and then a colored or towels. You can use as many of these sorters as you want! Having a laundry sorter that has designated areas will save you time sorting out laundry for every load. Just label each one for what you want to go in. Then you can just look over the clothing real fast as you toss in to make sure no other colors got mixed in, and wash. Saves a lot of time. You can find more compact styles, to save space. To ensure you keep track of socks and other small garments, simply put them in a mesh garment bag. This is a way to secure them in a bag, that has lots of tiny holes, and allows you wash the socks and other garments without losing them in the wash easily! Mesh laundry bags can have so many uses, so it’s worth having a few around. 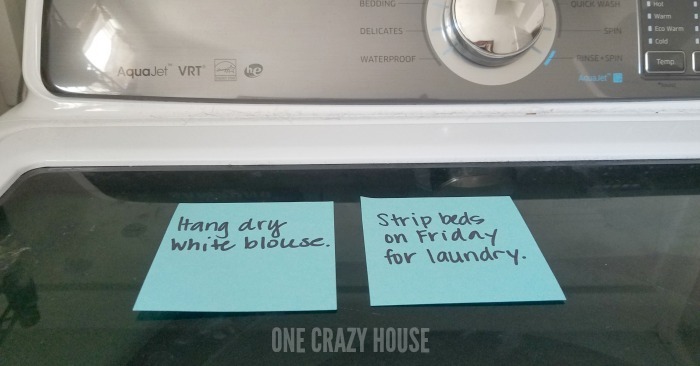 If you need to remember which clothing items need special treatment before going into the dryer, write it on the lid of the washer with a dry erase marker or use sticky notes. If you do opt for dry erase markers, I do recommend testing this, to ensure it works on your washer! If you have a little grease on a shirt or garment, take a piece of white chalk and rub it on the area where the grease is. Let it stand for 15 minutes, and then wash like normal. The chalk will draw out the grease. Hair spray can be a great solvent, just saturate the stain and let it stand for 10 minutes, and then the toss in the washer like normal. To revive those dull whites just toss sliced lemons into a pot of boiling water. Turn off the heat, and add in your clothes and let them sit an hour. Then wash as normal. It will get them looking a lot brighter. You can even go a step further and let them dry in the sun! 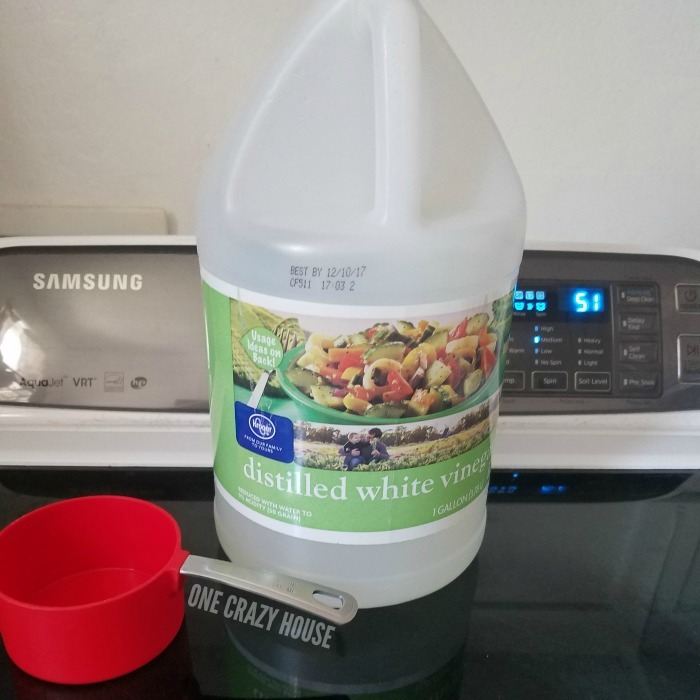 OR You can add a cup of vinegar to the rinse cycle to help brighten up your whites. Are your dark clothes fading? Try adding two cups of a dark brewed tea or coffee, it will add natural dyes to the clothes to help revive them to their natural color. Let the clothes soak for an hour, then wash like normal. Simply soak your shrunken clothes in a sink of water with a tablespoon of hair conditioner. Let it sit for about 15 minutes. Then squeeze as much water out as you can and lay it flat to dry. As it starts to dry, gently stretch the garment out to help get it to go back to its original size. Use bread to blot the garment, and it works great at removing lipstick stains! Toss in a few ice cubes with the wrinkled garment. As the dryer heats up, the ice melts and will steam and de-wrinkle the clothes! Run on the hottest setting and don’t crowd the dryer! Toss in a dry towel to a load of laundry. It will help dry all the clothes faster! If you are drying a comforter, try this handy tip. Toss in a tennis ball or two, it will toss it around as it dries, and keep your bedding from balling up as much! This works on pillows, comforters, and other bedding. 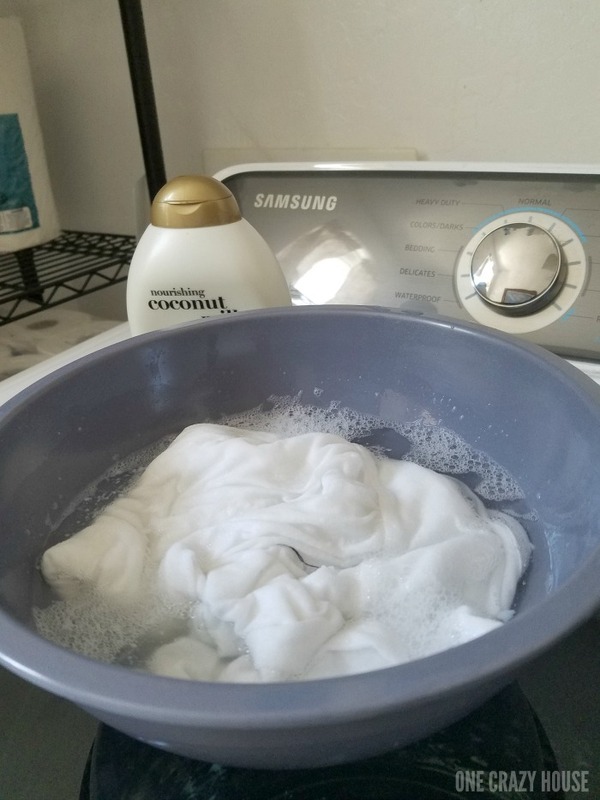 Use an aluminum foil ball to replace a dryer sheet. 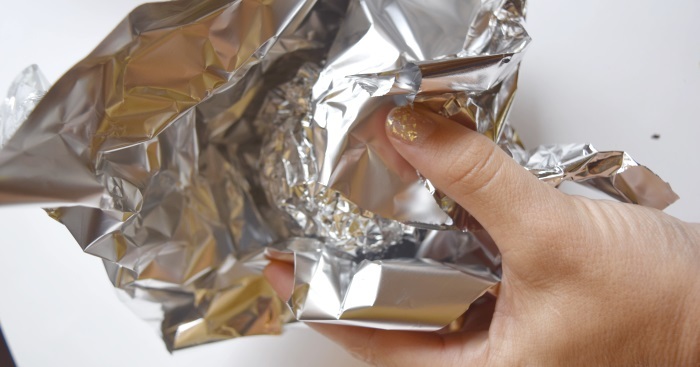 Just ball up some aluminum foil, and toss in. You can reuse this over and over. 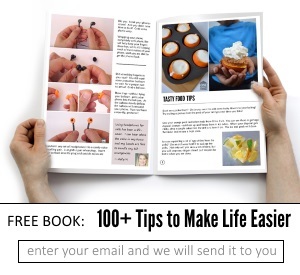 Just replace the balls every three to six months. These laundry cleaning tips and tricks will allow you to get your laundry done in the most efficient way. From getting those tough stains out in a hurry to drying your clothes faster than normal. 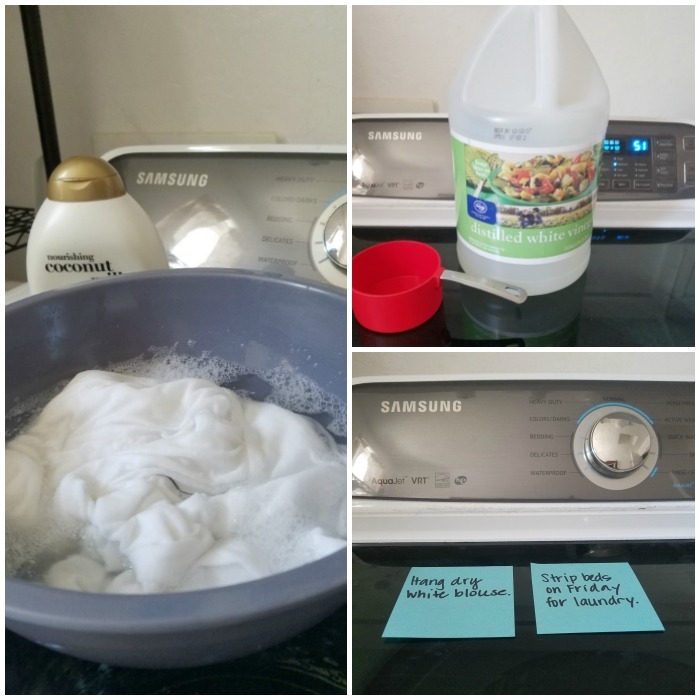 You can implement these laundry cleaning tips to save you time, so you can enjoy the fun things in life!